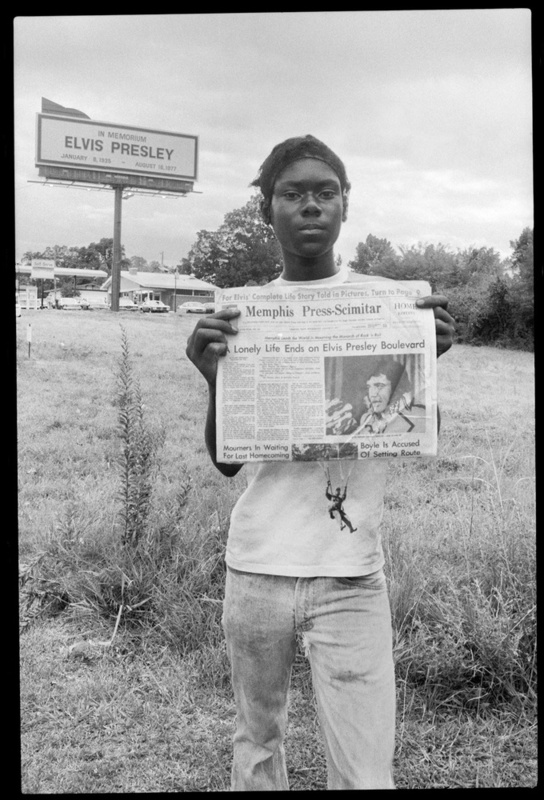 A Germany magazine sent me down to Memphis to photograph the scene in Memphis the day after Elvis died. This was the best photo that I came up with. The local newspaper was a great souviner and it sold on the newsstand for a dime, but it was totally sold out. The kid was selling them for a buck. I bought one.